Showcase telecasts aim to attract viewers of all skill levels. SHRPO “The Big 4” offers up free live stream. Daniel Negreanu anoints Poker Media Baron Remko Rinkema. Poker entertainment has stepped up its game as of late with public and premium TV offerings that are tailor-made for an inclusive viewership audience filled with veteran and recreational fans of the game. Here is a look at what’s in the news this week along with Poker Night & PokerGO shout-out links to where you can watch real-time coverage of big money, live poker events that are being broadcast around the globe. The Seminole Hard Rock Poker Open $25,500 High Roller and $5,250 buy-in Main Event final tables were simulcast Tuesday along with other SHRPO tournaments in “The Big 4” FREE-TV format that allows every poker fan from big-name pros to first-time viewers to enjoy real money action at their leisure or interact with live commentary personalities on a specific Twitch Poker channel. On-site support talent at the Hollywood, Florida poker room is hard at work with live hand history reporting via the official SHRPO website while providing biographical info on final table participants who are competing for six-figure paydays. Hundreds of onlookers followed along with our very own Doug Polk, recently-named WPT team members Maria Ho and Jeff Gross, plus $4 million live poker event cash prize winner Christian Harder, who spent their afternoon interacting with live chat contributors and Seminole Hard Rock staff. Simulcast coverage of several big poker events is reflective of modern day outreach that players, media and live casinos are putting forth in 2017… and the action heats up next week when Doug conducts real money battle with 14-time World Series of Poker bracelet winner Phil Hellmuth. The inaugural Poker Night King of The Hill will award $200,000 USD to the eventual winner of the four-player, heads-up bracket tournament. Poker After Dark Returns — Tom Saved? The popular Poker After Dark TV show made its much-anticipated return Monday with Durrrr Challenge creator Tom Dwan raking a $700,000 USD pot when his Pocket Aces “coolered” Antonio Esfandiari‘s Pocket Kings. Dwan, who has received sharp criticism from a number of his colleagues regarding an apparent unwillingness to conclude his Heads-Up Challenge versus full-deck savant ‘Jungleman’ Dan Cates, has received new consideration after the 27-year old world traveler and King of The Hill semifinalist revealed that he has been paid between $700,000-$800,000 USD in “penalties” by Dwan. Tom Dwan is an immediate TV draw headlining an all-star lineup brought to us by high stakes poker player Cary Katz via the PokerGO premium subscription live streaming service. It also appears that Poker Life Podcast host Joey Ingram could be welcoming the 2011 PAD IDOL winner to his YouTube show soon. 500 RT's & I will do EVERYTHING in my power to get @TomDwan on the podcast! Several high profile poker players are indirectly involved in the Durrrr Challenge due to side bets, and remain hopeful that Jungleman’s open communication on the topic will prompt the popular televised poker personality to work towards a conclusion of the contest, which began eight years ago. Daniel Negreanu to MAKE POLKER GREAT AGAIN? The world’s all-time live poker tournament cash prize leader Daniel Negreanu treated his YouTube fans to an all-encompassing televised poker roundup Monday before making a memorable appearance on the PAD return cast. “Kid Poker” swayed from his traditional he-who-must-not-be-named approach to Upswing Poker pro Doug Polk, and analyzed the upcoming King Of The Hill matchup between the DPYourCommunity.org founder and “White Magic” spell caster Phil Hellmuth. Negreanu, who has been a longtime ambassador for the game of poker, also took the time to elevate Poker Central Podcast host Remko Rinkema in his 25-minute “What is Good for Poker” clip. 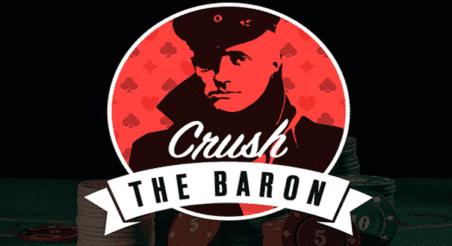 “Remko also happens to be… the foremost, leading authority in terms of poker media. He has his hands in everything,” informed the 2014 WSOP Big One for One Drop runner-up. Negreanu’s position as the main Team PokerStars Pro has put him at odds with online regulars as his corporate Stars Group sponsor scampers in the direction of casino formats. However, there has been some communication as of late that the world’s largest poker site could be opening-up to player feedback. Uncle Ron was back on Poker Twitter Tuesday as live commentator Ali Nejad gave poker fans an in-depth examination ranging from Ron’s double-Velcro tennis shoes to his impressive flavor-saver. Will new televised poker formats like King of The Hill, Poker After Dark and Poker Masters ring-in a new era of fan engagement? Stay informed with what the poker community is saying about the biggest televised poker events of the year, courtesy of your friends at Team Upswing.